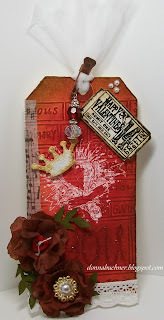 Here is my take on the on the February tag. I only had a few of the items that Tim used on his so I had to change it up and I love how it turned out. I had used the glassine paper for the flowers using the same technique that he had used on one of the previous 12 tags of Christmas. 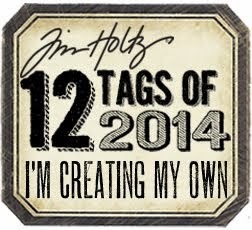 What do you think of the tag?